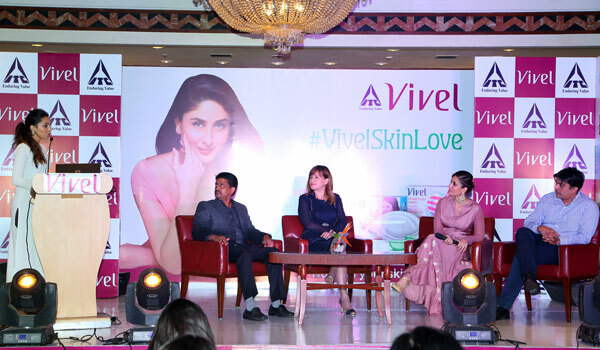 Home » Events » Vivel Skin Love Event With Kareena Kapoor Khan! 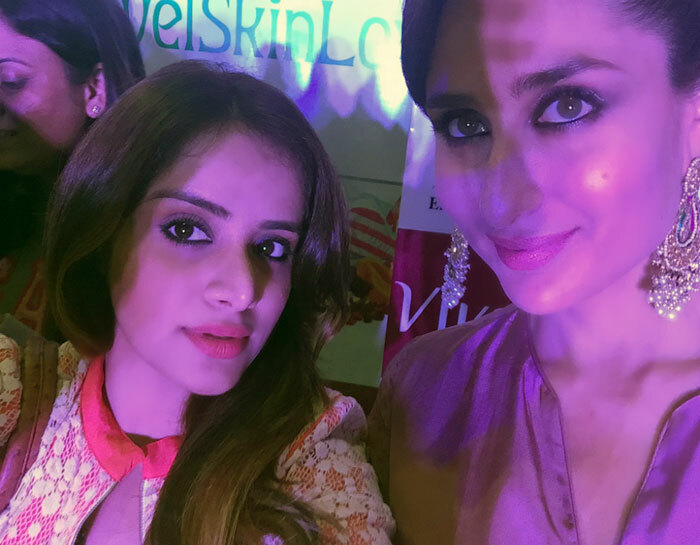 Vivel Skin Love Event With Kareena Kapoor Khan! There has always been a particular actress that I have adored for her beautiful skin and I recently had the chance to get to know the secrets of that glowing skin from the star herself. 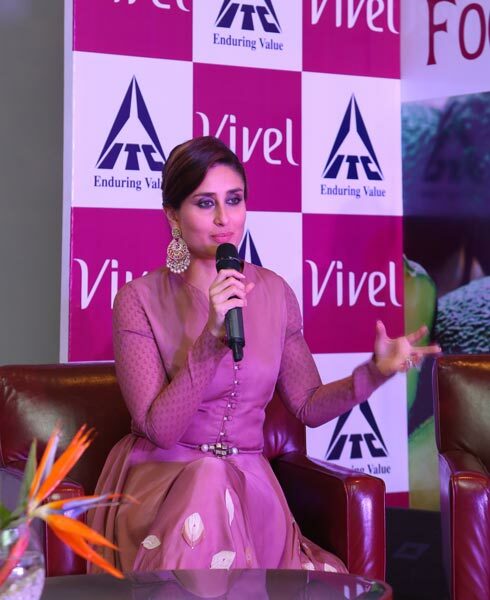 I was invited by Vivel a few weeks back for a little tête-à-tête with Kareena Kapoor Khan, ITC Vivel’s Brand ambassador and experience a demo of their new range of Love and Nourish soaps. I was invited along with a few other bloggers to ITC Sheraton Hotel for the event, where we were introduced to the Love and Nourish Range. Also present at the event were Mr. Subash Balar, Category Head, ITC Personal Wash, Mr. Vijayan Padmanabhan, Sr. Lead Scientist from ITC’s Life Sciences Technology Centre, Ms. Priscilla Corner, renowned beauty expert and Dr. Mahima Bakshi, celebrity fitness and beauty consultant. Kareena Kapoor shared with us a few beauty pointers on how to have fabulous skin and biggest one is the one that we often ignore the most, drinking lots and lots of water!! She also mentioned how clean eating does wonders for your skin and also credited Vivel for that little extra help that makes her look all the more gorgeous. She further mentioned that it’s not only important to nourish your skin from the inside but also that external moisturization is just as important. During the event, Vivel also organized a demo of their powerful, Vitamin E enriched skin moisturizer. A blogger was called upon the stage and her skin moisture levels were tested initially, which was about 40 percent. Then the Vivel Fortifying Moisturizer enriched with Vitamin E was applied to her skin and her skin was re-tested. The skin moisture level rose to a whopping 74 percent upon applying the moisturizer. In line with the evident shift in women’s attitudes towards their personal grooming regimen and the intrinsic need of deep moisturisation, Vivel unveiled this new range enriched with Vitamin E, a powerful skin moisturiser. 1) Vivel with Green Tea and Vitamin E is a unique offering and a first in the Indian Soap industry. 2) Vivel soap with Green Tea nourishes skin from deep inside and prevents accumulation of skin impurities. 3) Vivel Aloe Vera with Vitamin E deep nourishes to give satin soft skin. 4) Vivel Mixed fruit + Cream is a double delight as it is a unique 2-in-1 soap enriched with mixed fruits – Pomegranate, Avocado and Papaya- Cream and Vitamin E. Not only it nourishes skin, but also endows it with a youthful glow. The new soaps provide sensorial experiences with the shape and feel. The cocoon like shape with soft, fluid and pleat like contours depicts nurturing care and warmth. 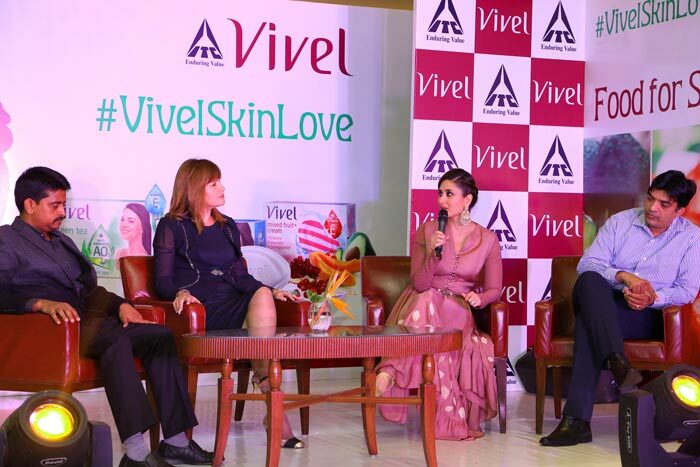 A manufacturing innovation, Vivel introduces India’s first soap that visually depicts dual skin benefits. DUCOX (Dual Core Extrusion Technology) makes Vivel Mixed Fruit a fascinating visual manifestation of the dual-skin nourishment delivered by the soaps. 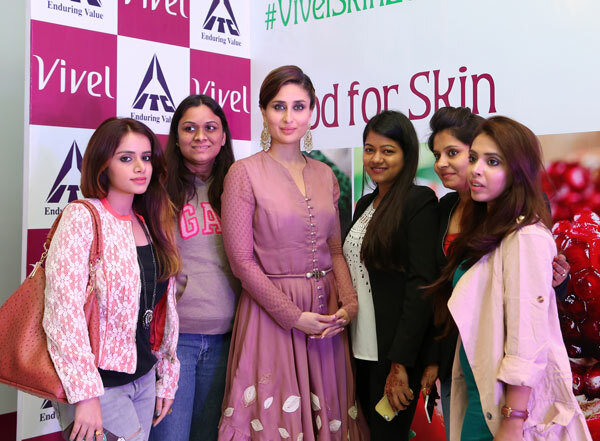 Vivel introduced ‘Love & Nourish’ an exquisitely crafted bathing range with brand ambassador Kareena Kapoor Khan. Enriched with Almond Oil & Shea Butter and Avocado Oil & Olive Butter, Vivel Love & Nourish is an indulgence crafted to pamper skin with an abundance of exotic butter and nourishing oil.The ingredients since time immemorial have had a rich legacy of skin care and nourishment. I have always loved Vivel as a bath and body brand and with the launch of their new Love and Nourish range incorporating ingredients like Almond, Avocado Oils, Shea and Olive Butters, I’m bound to love them this winter!! Indo Western Outfit Inspirations: Dresses, Gowns & More!